A recital of Bach favourites and a Vivaldian surprise. Robert Quinney may be a familiar name if you follow The Sixteen Orchestra, since he’s their resident organist. 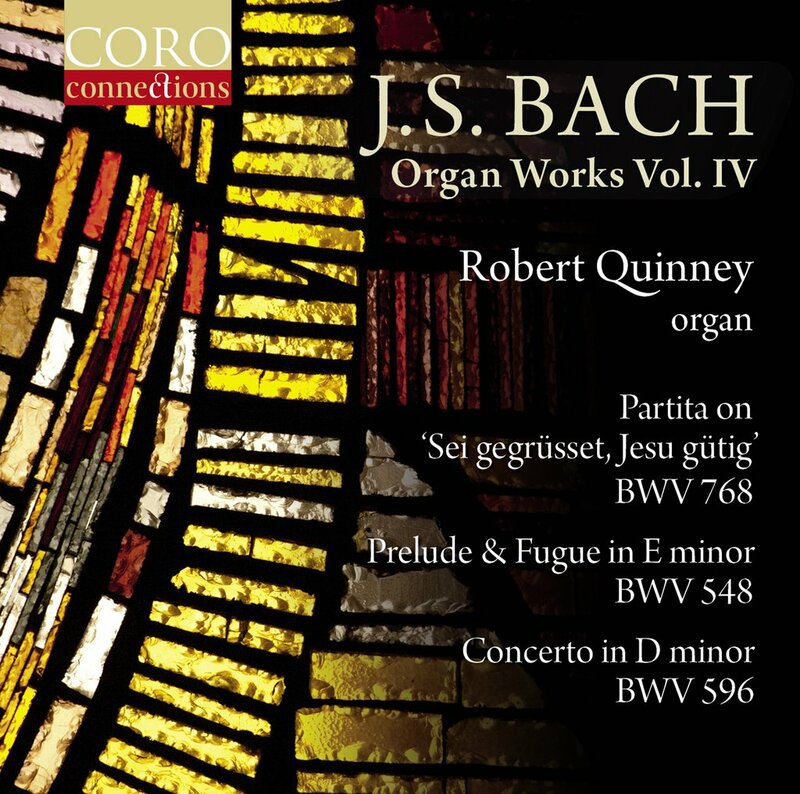 This volume (the fourth so far) of Quinney’s Bach recordings for Coro includes both well-known and more obscure Bach works. The big hits found here are the Prelude and Fugue in E Minor, BWV548 (sometimes called “The Wedge” due to the shape of the fugue subject), and the Concerto in D Minor, BWV 596. Quinney’s performance of BWV548 is excellent. This is a colossal work lasting nearly 15 minutes and is considered one of Bach’s more difficult organ works, and yet Quinney dances through the freewheeling da capo fugue easily and smoothly. Coro’s engineers are experienced in recording complex choral works, and the clarity and definition that they can capture is displayed perfectly here. Equally satisfying is the glowingly resplendent final resolution in E Major which bursts out like a spotlight after so much E Minor – this is one to turn the volume up for! Despite the title, the Concerto in D Minor, BWV596 is actually an arrangement of Vivaldi’s Concerto for Two Violins and Cello in D Minor, RV565. So, it’s really a Vivaldi piece arranged, tweaked, and modified by Bach, who clearly had a blast toying with another composer’s music. If you know the original, it’s rather fun hearing the slight differences in harmony and counterpoint between the two versions. Quinney also includes some of Bach’s ‘Great Eighteen’ chorale preludes. On this release, he plays the first four, including the favourite Schmücke Dich, O Liebe Seele. The only misstep here is the inclusion of two separate versions of An Wasserflüssen Babylon that really aren’t all that different – I could have done without the “bonus” version. A fine continuation in Quinney’s survey of Bach’s organ music.